Dr. Ahmed Amin is an Iraq-based doctor who is an expert in the documentation of torture. A long-time trainer for PHR, Dr. Amin has conducted numerous training workshops and webinars on the Istanbul Protocol standards for effective medical documentation of torture and ill-treatment. Dr. Amin is the director of the Wchan Organization for Victims of Human Rights Violations, an Iraqi human rights NGO operating in Kurdistan. Dr. Amin provides mental health and case management services to survivors of trauma, including torture and gender-based violence, and trains mental health professionals and social workers in working with trauma survivors. 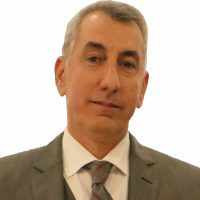 He also works as a lecturer at Sulaimani Polytechnic University, and has coordinated various partnership projects with the UN Voluntary Fund for Victims of Torture, UNHCR, USAID through Heartland Alliance and Johns Hopkins University, ICRT, and others. Dr. Amin is a licensed medical doctor with the Iraqi Medical Association and the Kurdistan Medical Association. He received his degree in Medicine and General Surgery (MBChB) from the College of Medicine, Salahaddin University, Erbil. He completed his residency training in Sulaimaniya, Iraqi Kurdistan, followed by a two-year study of human rights, multicultural understanding, and conflict. In August 2012, he obtained a Master’s degree in health management, planning and policy from the University of Leeds, United Kingdom. Currently, he is a PhD candidate in community medicine at Hawler Medical University.